He has delivered thousands of seminars and conferences within the scope of tablig and irshad on the following topics: marriage, children and family education, raising awareness among the youth, akhlaq of Islam, organisational education, raising awareness among the Ummah and so on. He also writes periodically in Altinoluk, Hukum, Ribat, Reyhan and ElifElif magazines. 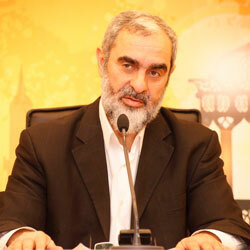 He has translated 7 works, taken part in 3 commission researches in Islamic Fiqh and Encyclopedias of Social Sciences. He has written 35 books and currently has been working on 4 other books.